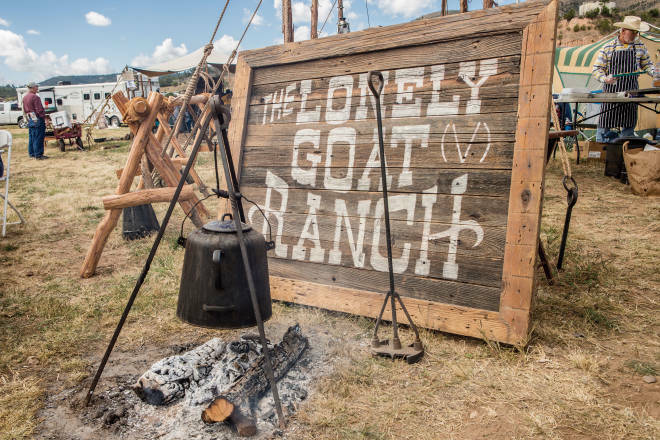 Above: The Chuckwagon Cook-Off is a main attraction at the Lincoln County Cowboy Symposium, but there&apos;s also rodeos and vendors that will help you get your cowboy on. Photographs by Jennifer Coats. In the early 1900s, Ray Reed’s family journeyed to New Mexico by covered wagon. They settled on the southeastern plains, in Clovis, where Reed became a musician. In the 1930s, he hitched to Los Angeles in a boxcar to pursue his big-city dreams. But Reed was a cowboy first and foremost, and he eventually returned to New Mexico, where, over time, he witnessed his family’s culture disappearing. In 1990, he started the Lincoln County Cowboy Symposium to “preserve and promote the cowboy way of life.” As the festival nears its 30th year, it stands as a singular showcase of the lifestyle that still defines this region. 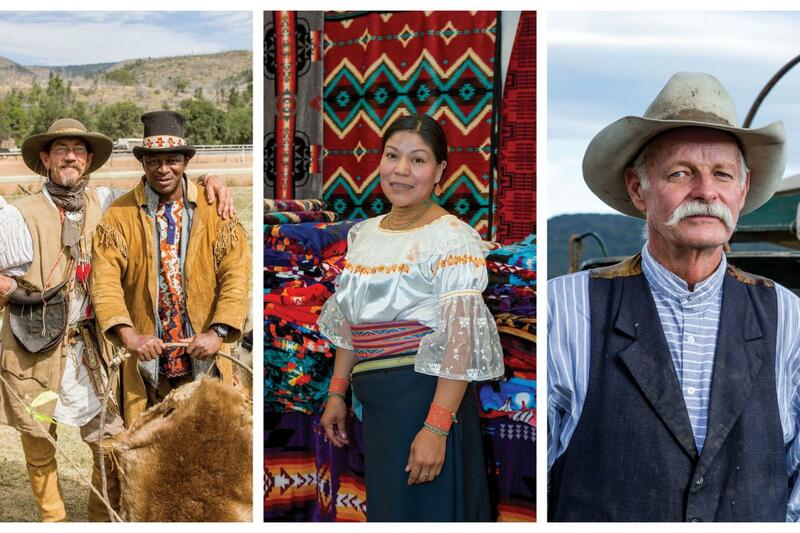 Above: Paul Wenzel (far left) outfits visitors, Caroline Sican of Guatemala & More sells her tapestries and fabric goods, and Glenn Moreland of Texas Cowboy Outfitters has competed in the Chuckwagon Cook-Off for more than 28 years. 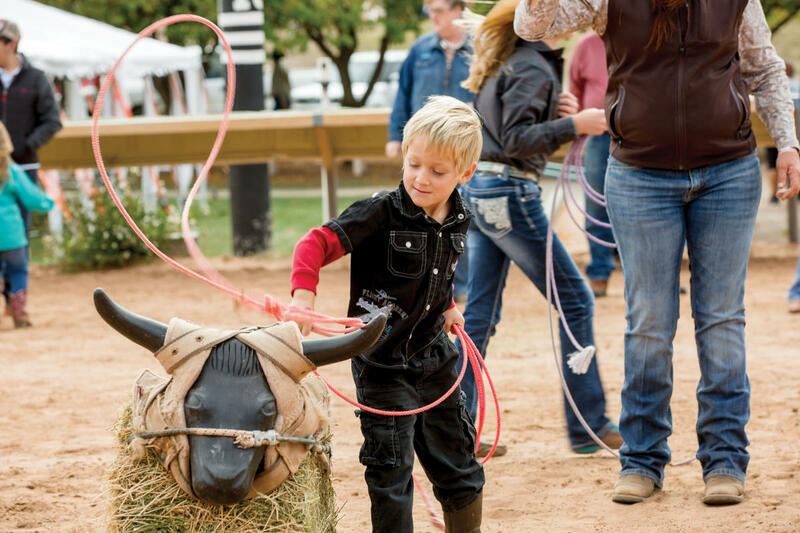 This year’s symposium, October 12–14 at the Ruidoso Downs Race Track & Casino, includes performances from Lee Greenwood and Jodi Nix, the annual chuckwagon cook-off, a kids’ rodeo, and more than 100 vendors selling Western goods. Reed won’t be there—he passed away in 1998. But his spirit and that of the cowboy ride on.